Funlovingliving er Norges 5. beste reiseblogg!!! Magasinet Reiselyst har kåret Norges beste reiseblogg og jeg kom på en fantastisk 5. plass! Silje, som står bak bloggen “Den afrikanske farmen” vant velfortjent med sine flotte bilder og skildringer fra sitt liv i Namibia. De andre bloggene på topp fem listen er “Bobleliv” som skriver om reising med fokus på dykking. Birgit og Anders er to spreke folk som er på en to år lang sykkeltur i Europa og Amerika. Nina og Mads reiser jorden rundt og er for øyeblikket i vakre Argentina. Jeg er utrolig takknemlig og veldig stolt for å bli nevnt i dette eksklusive selskap! Stor takk for oppmerksomheten til Magasinet Reiselyst med redaktør Torild Moland i spissen, sammen med blogger, fotograf og journalist Johnny Haglund, samt markedssjef i Solia AS, Cecilie Gilhuus Jørve! Til dere som har fulgt med oss på bryllupsreisen så langt, tusen takk! Til nye lesere, velkommen ombord! Vi er bare halvveis (på denne turen), så følg med videre! 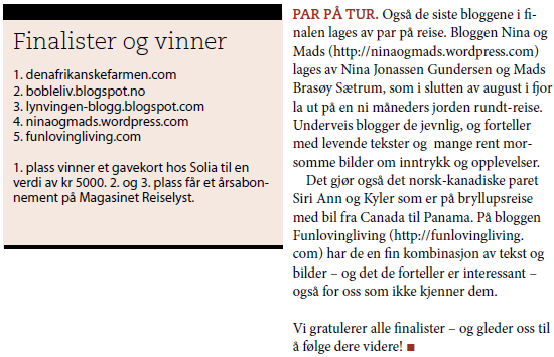 Funlovingliving has been voted Norway’s fifth best travel blog by the Norwegian travel magazine Reiselyst. I am very thankful and honored to have made it to top five! 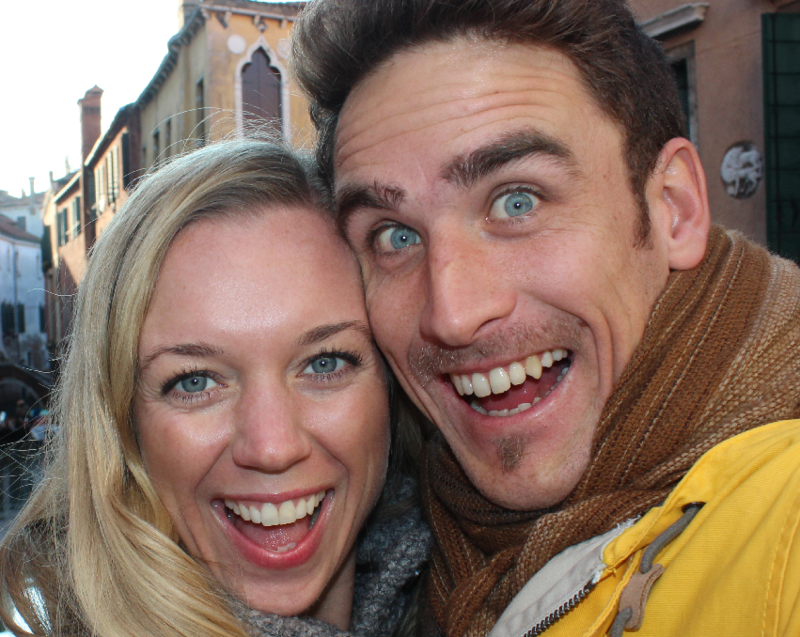 To those of you who have been joining us on our honeymoon so far, thank you! To new readers, welcome onboard! We are only halfway (on this adventure), so keep following! 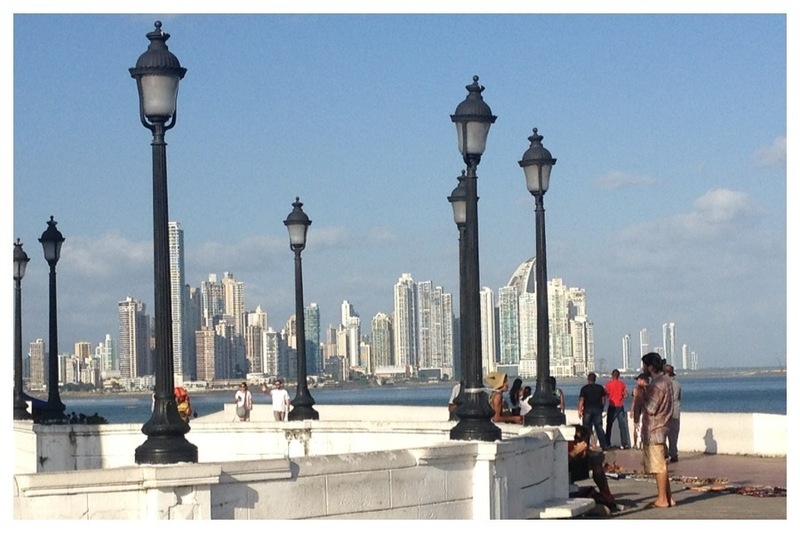 We Made it to Panama City! 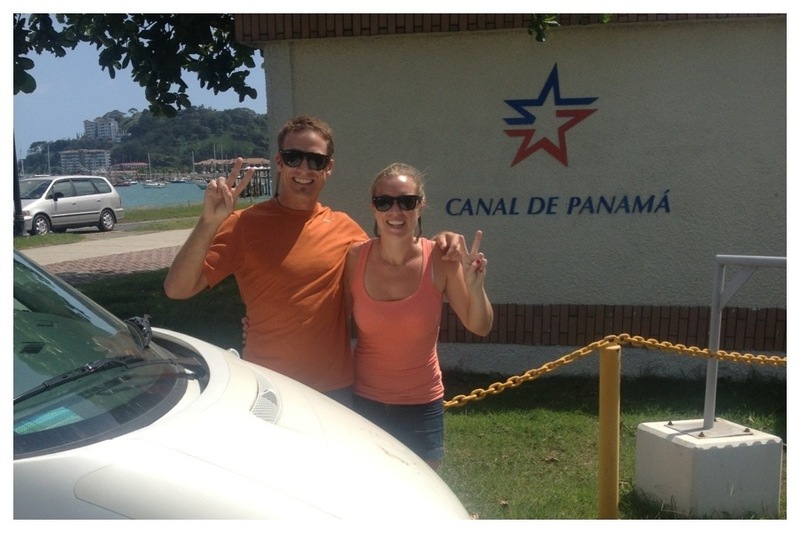 We made it to The Panama Canal! It has been an incredible journey with my best friend, travel partner and love, Kyler! 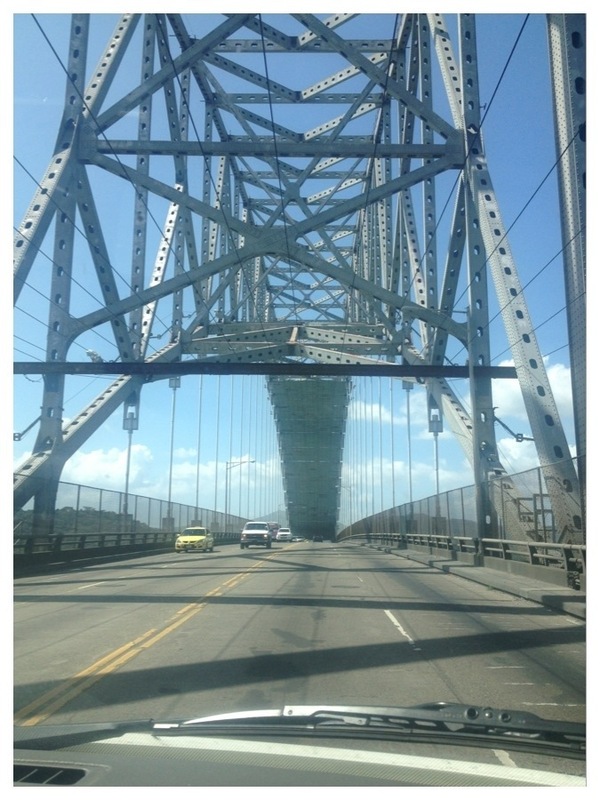 … Guess it’s time we turn around and drive back! 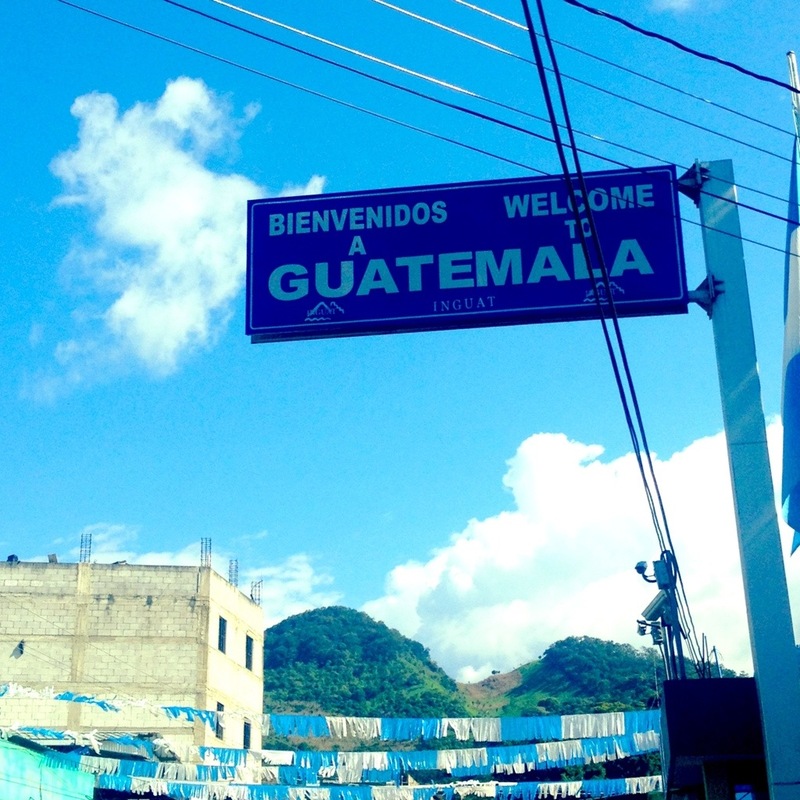 The Mexican/Guatemalan border is more of a drive-through market than a border crossing. You need to find your own way between the necessary buildings and hope you did not forget to have something done on the way. Nobody will tell you where to go. 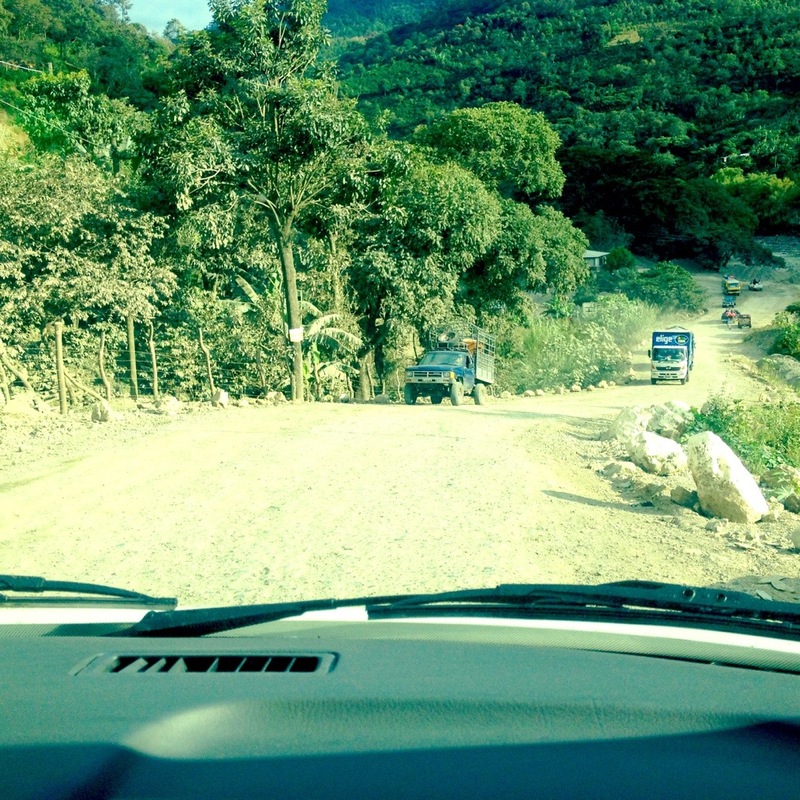 We started out on the Mexican side, where we got our passports stamped as exiting Mexico. Then, we went to another office to have the temporary car importation permit cancelled. This was all pretty easy and did not cost us anything. The border patrol men were watching tv and wanted us out of the way quickly. 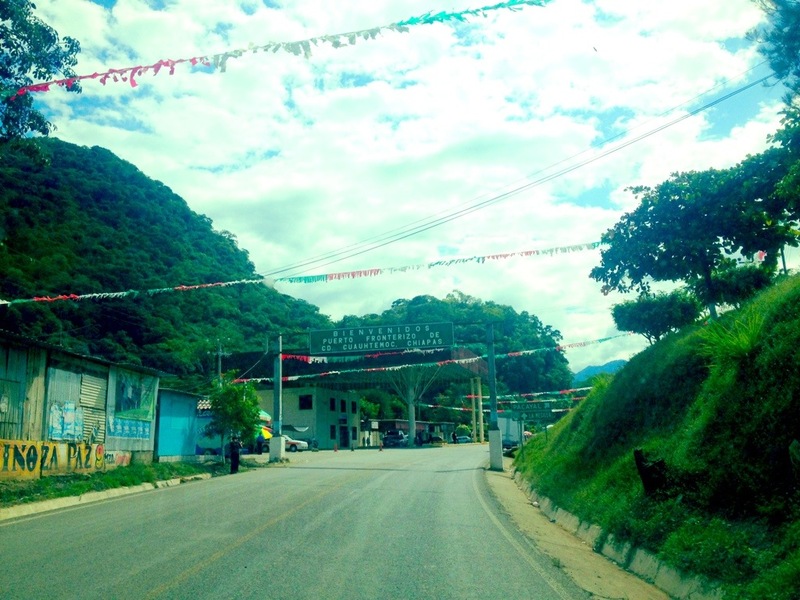 4 km separates the Mexican and Guatemalan customs, we therefore drove on in no-man’s land until the market/border sprung into action. 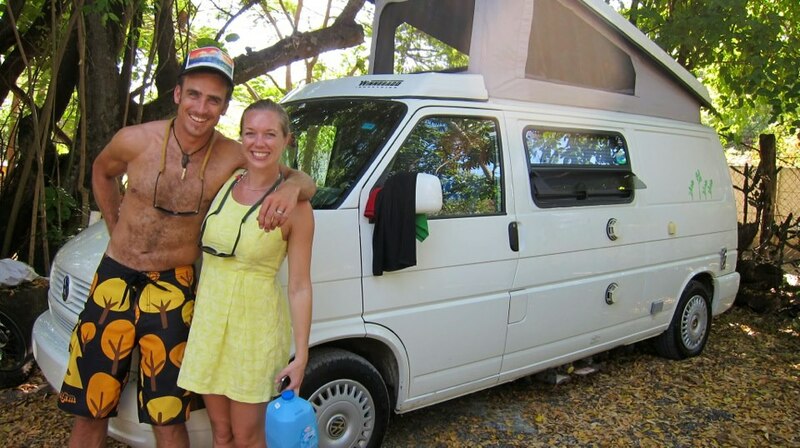 The first stop was a fumigation station for the van. 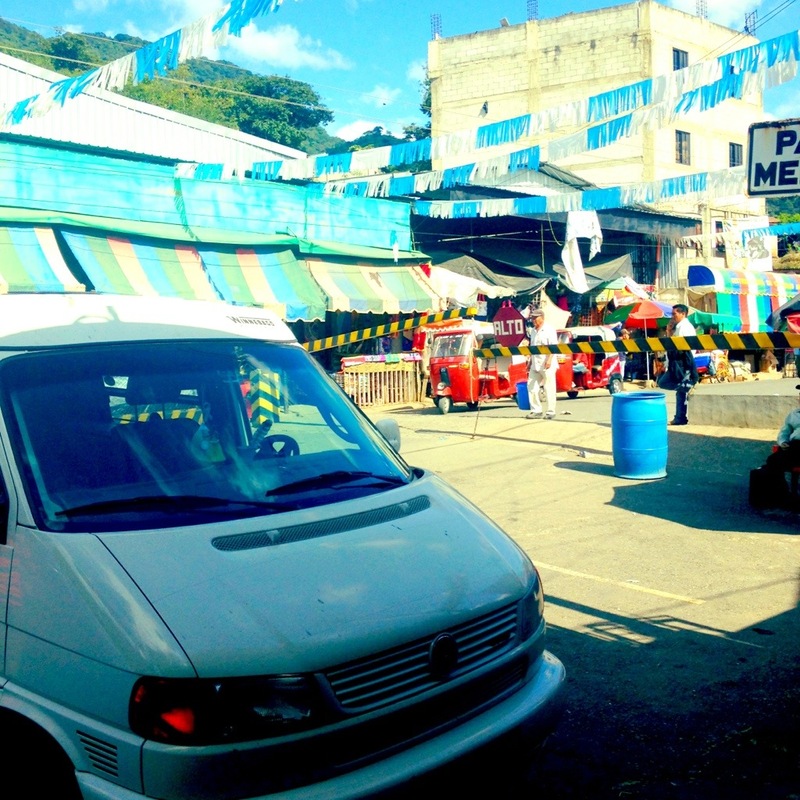 It is supposed to kill bugs or something on your vehicle before entering Guatemala. This cost us Q40 = $5. It’s supposedly cheaper for smaller vehicles. Next stop was to get our tourism stamp. We had to wait a little while for no apparent reason, but that is just the way it is! We paid Q10 per person as a tourism fee. We did not receive a receipt, so I am not sure where/who this fee goes to. If we did not have a vehicle we would now be good to go. 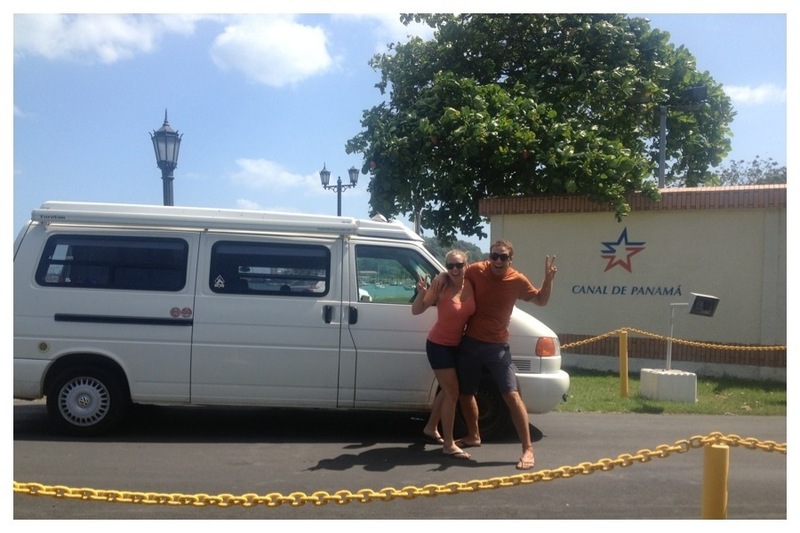 Since we do have a vehicle, we had to stop by the vehicle importation office which is right next door to the passport office. There was nobody in the vehicle office, so we had to wait. And wait. And wait. Finally they show up and started processing our case. They need the original title of the vehicle, the passport of the owner and drivers license. What seems to not be such a complicated process end up taking a long time. I really do not understand how it can take this long! They take the copies that are necessary so you do not have to worry about that. The import fee is Q160 and must be paid at the nearby bank. They wait while you go and do this. In the end you get a sticker on your windshield and you are suddenly good to go! Yay! It is by no means the most complicated border crossing we have been to, but keep calm and have lots of patience as this process in our case took two hours. – Have a meal before you reach the border. Being hungry does not help anybody’s patience. – Exchange money before you reach the border. You will need Quetzals. The money exchangers at the border are just waiting to rip you off. It saves you hassle (and probably money) to take care of this somewhere else.